One of the projects to work on while the Herculiner was setting up was the Sound Bar. 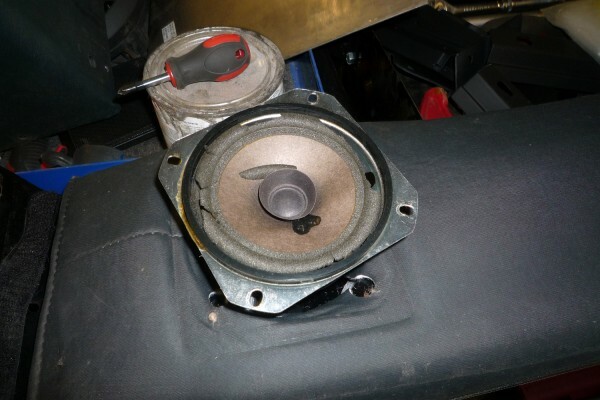 When I took it off on Friday I noticed that the speakers were all ratty and full of holes. I guess that is why it wasn’t sounding as good as it possibly could. 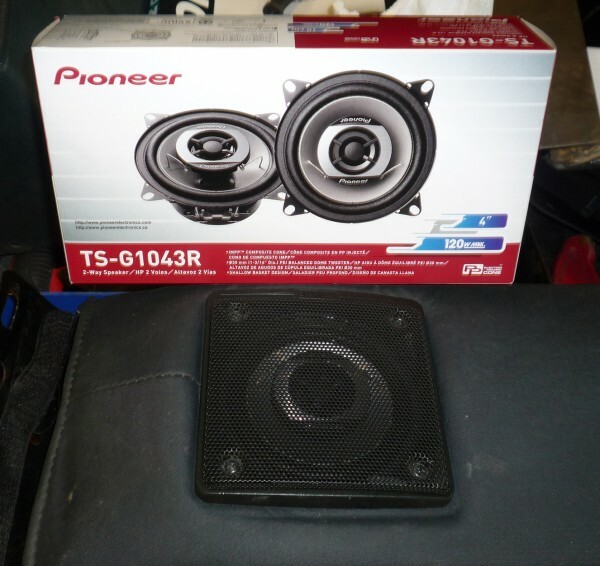 So I stopped over at Best Buy (actually had to travel quite far) to pick up some 4″ Pioneer Speakers for $45. They are no longer carrying these tiny speakers as very few cars still have speakers in this size. I soldered the connectors onto the speaker wires and installed them under the old covers. I hope it sounds good!